By getting power from nature, Nibe provide you with the perfect indoor climate. A NIBE air source heat pump can keep your home warm during the winter and provide hot water all year round by utilising the energy from outdoor air. Reduce your energy bills in an eco-friendly way. NIBE is one of Europe’s leading manufacturers in sustainable energy solutions supplying products for heating, ventilation, cooling and heat recovery that reflect today’s demand for sustainable construction. NIBE’s vision is to create world-class solutions in sustainable energy by delivering long-term value for customers. 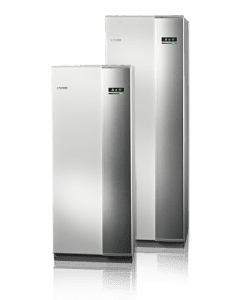 NIBE provide energy systems for domestic and commercial properties, such as Ground Source Heat Pumps, Air Source Heat Pumps, Exhaust Air Heat Pumps, Heat Recovery Ventilation Systems, Biomass Boilers, Hot Water Cylinders and Solar Heating. 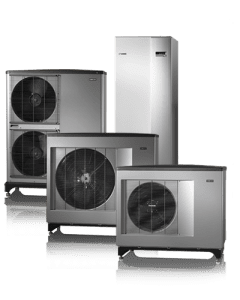 There are 2 main types of heat pump that we can provide. 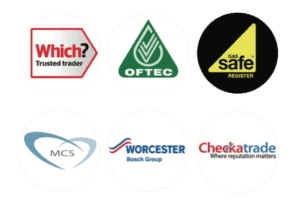 Heppelthwaite the Red Van Plumbers are MCS approved and can offer our clients the benefits of Government Incentive Schemes including Feed-in-Tariff (FIT) and the Renewable Heat Incentive (RHI). These schemes now make investment in Green Technologies a viable financial investment offering large annual returns. We are approved installers for NIBE Energy Systems and would be happy to provide advise or a FREE of charge estimate.